When a disaster strikes, whether fire, water or mold related property damage, you need specialized, fast and reliable services. Orange Restoration understands the impact and stress such a disaster has on the home or business owner. 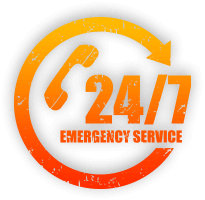 We are available 24/7 when you need us to make repairs, to ensure that further damage does not occur to your property. We will quickly arrive at your location, estimate the cost of permanent repairs, and provide design and building services that will restore your home or office to its pre-loss condition. Orange Restoration is a licensed and insured California General Contractor, with over 50 years of combined experience. At Orange Restoration we have the industry knowledge and experience to restore, repair, and remodel your property after a water, flood, fire, or other disaster. We specialize in all damage restoration services, reconstruction, renovations and remodeling. We take pride in providing quality workmanship that is completed on schedule and within the parameters of your insurance policy or contract. Real people answer the phones 24/7: Orange Restoration team members who are knowledgeable, able and authorized to offer actual answers on the spot, whenever possible. We don’t use answering services that give you scripted advice, or offshore call centers. We are top notch when it comes to emergency disaster experience and education. All of our technicians are certified, IICRC educated, and required to take continuing education classes. We’ve been in business for over 10 years, with thousands of satisfied customers, and all of our techs have years of experience in the business. We respect your time, space and property. We perform clean, accurate work, respecting your time and property – this is our top priority. We are always prompt when arriving for appointments, and we always ensure that your possessions will be protected and secure – just ask any adjuster or industrial hygienist who has worked with us! Infrastructure – we have you covered. Having enough supplies in stock, trucks, vehicles, machines, computers, and English speaking staff guarantees that every task and procedure will go much faster and smoother. Flexibility – we’re a team of creative, resourceful people. We WILL jump through hoops to create a custom-tailored solution for your situation. The staff members of Orange Restoration are trained to be especially sensitive and attentive to customer service due to the nature of our business. We understand that a flood in your home or business can be stressful and that you want to return to your regular life ASAP. We have high professional standards and expect our employees to maintain those standards. Every job that Orange Restoration is a part of will be performed with accuracy, attention to detail, and respect to your property. By placing these standards we can be sure that we will perform the job to your satisfaction and never compromise the quality of our service. If you are in need of damage restoration services in San Diego give us a call today!